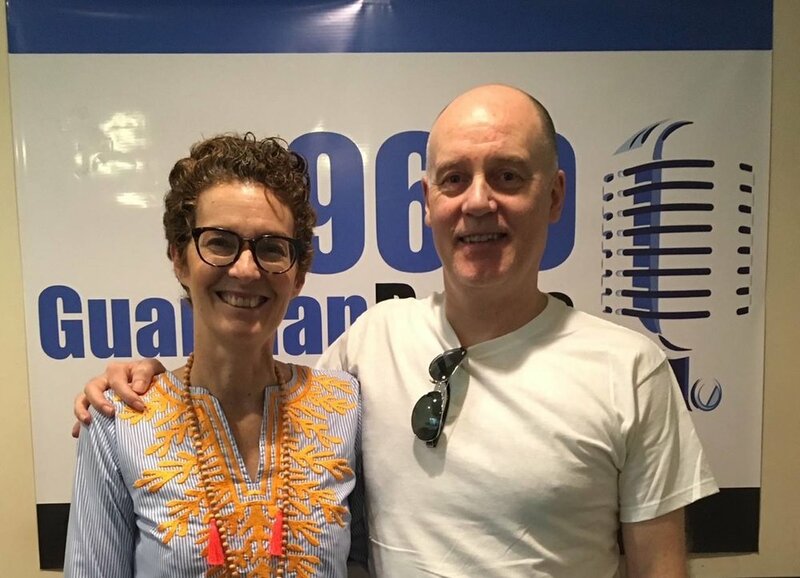 On tonight’s, “Blank Canvas,” your regular host Amanda Coulson, Director of the NAGB speaks to visiting artist Graham Fagen, a Scottish artist living and working in Glasgow, Scotland. His art practice encompasses video, performance, sculpture, sound and text. His work reflects on how contemporary identity and its associated myths and fictions, can be expressed and understood and his portraits of real, imagined, historical and contemporary characters explore the idea of identity and performance in portraiture. Fagen has exhibited widely, including the Victoria & Albert Museum, Tate Britain and the Institute of Contemporary Arts, London. In 1999 he was invited by the Imperial War Museum, London to work as the Official War Artist for Kosovo and in 2015 he represented Scotland at the 56th Venice Biennale with a sound and video piece entitled “The Slave’s Lament.” The installation addresses a history he felt was hidden regarding Scotland’s complicity in the Trans-Atlantic Slave Trade. This piece was the jumping off point for an exhibition at the NAGB entitled “We Suffer to Remain,” in partnership with the British Council, in which three Bahamian artists—John Beadle, Anina Major and Sonia Farmer— were asked to respond to the work. “We Suffer to Remain” opens tomorrow, Thursday March 22nd at 7 p.m. ALL are invited! Blank Canvas airs every Wednesday on Guardian Talk Radio 96.9 FM at 6:30 p.m. Tune in!